Before I was a pediatric allergist I was a pediatrician, trained at NYU School of Medicine where I am now on the faculty. Since there is no training program in allergy and immunology at NYU (I did my fellowship at Walter Reed), I do my best to take as many residents for elective rotations at my practice as I can and to speak to groups. As we said in our book, the numbers of allergists is dwindling while allergic diseases continue to proliferate. It is vital that allergists try to disseminate more of our specialist knowledge to young pediatricians so that they can deliver better care when it comes to allergies. Dr. Maureen S. Egan was one of the more recent residents who have passed through my office. She is slated to become chief pediatric resident next year at NYU—a real testament to her gifts as a doctor. I am doubly thrilled that she wants to train as an allergist after that. She is just the kind of doctor allergic kids need. 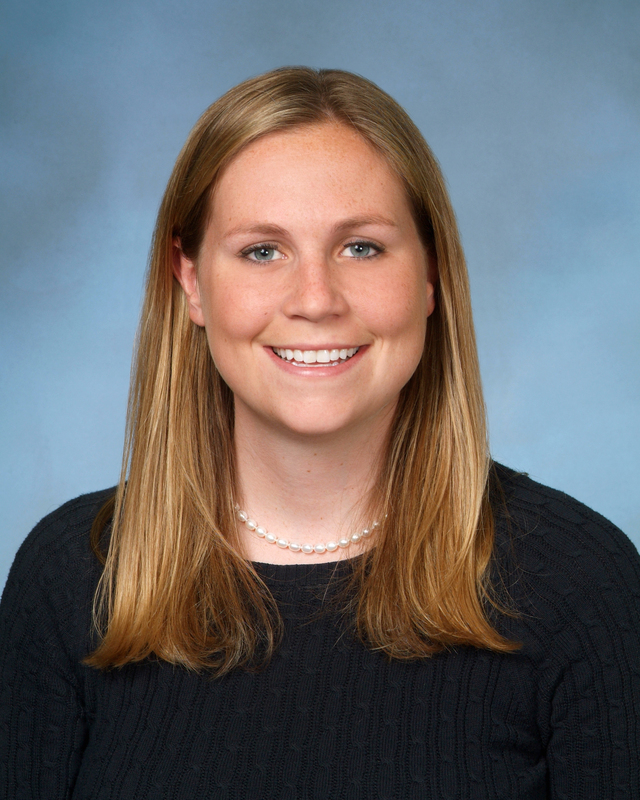 Recently, Dr. Egan gave a talk on food allergies to 25 of her fellow pediatric residents. We followed up with a number of questions to better understand her training and the scope of the challenge we face in trying to spread the word. Q: Some of the information you presented was pretty advanced and some of it was fairly basic. How much of it had you learned before your allergy rotation and how much of it did you acquire after starting the rotation? Is it correct to assume that most of your fellow pediatric residents might otherwise never learn these things as they pursue general pediatrics or other sub-specialties? A: I would say that I knew only approximately 10% of the information presented before the allergy elective and 75% of the information I acquired through the rotation. The remaining 15% (which was mostly on the rare disorders) I learned through my reading in preparation for the presentation. You are correct that unless my fellow residents pursue an allergy elective (and many do not) they may not learn these key points. We have very little training in food allergies as part of our core curriculum. Q: What is it about allergy that attracts you towards the field for your fellowship? The intellectual challenge? Patient interaction? Others? A: There are many things that draw me to allergy and immunology (all of equal importance). First, as you described, is the intellectual challenge. I realized a huge reason I went to medical school and enjoy being a doctor is the stimulating process of thinking through complex cases. In addition, I really have enjoyed my general pediatric training in terms of the continuity of care I was able to provide to my patients over the past 3 years. I am drawn to allergy because it gives me opportunity to develop a similar relationship with my patients. Lastly, I enjoy the potential impact I would be able to make on people’s lives. Allergies can greatly affect ones quality of life and most times unnecessarily. Even in the cases when there is no specific treatment I feel providing information and education can still help the patients significantly. Q: Is there one anecdote you can recount that helped you decide this is what you want to do after your chief residency? A: My answer to this question is probably different than most people’s. What made me realize that I wanted to go into allergy/immunology was my finding that I loved seeing all of the allergic rhinitis kids in clinic in the spring of my intern year when most of the other physicians were rolling their eyes at seeing “another” kid with a runny/itchy nose. One of my mentors told me that whatever you go into you have to love the “bread and butter” of that specialty and, for me, knowing I could do this every day and really enjoy it solidified it for me as a future career. Q: Your residency was interrupted by an unprecedented event–Hurricane Sandy. Care to share with our readers any specific stories about how you coped? Rescuing patients? Ending up at other institutions? Others? A: I fortunately was in Africa (Uganda specifically) doing an international elective during the Hurricane so I was not affected as most of the other residents were. However, when I returned I did have to work at Mount Sinai as well as Columbia due to NYU still being closed. This was actually an experience I enjoyed. I feel that the academic institutions in New York all have their strengths and it was a unique experience to be able to spend time at another institution and share ideas with them. I have only positive things to say about the staff at these other hospitals and I hope that everyone will bring back ideas from their experiences to better NYU. Maureen Egan, MD completed her undergraduate training at Georgetown University with a Bachelor of Science in Health Sciences. She went on to medical school at Loyola University Chicago-Stritch School of Medicine. Following medical school she entered the Pediatric Residency program at New York University with an expected graduation date of June, 2013. 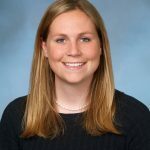 She is the Chief Resident Elect for the NYU Pediatric Residency program for 2013-2014 and plans to pursue a fellowship in Allergy/Immunology following her year as Chief Resident. This would be the kind of allergist I would hope that all of our young children would have the opportunity to grow up with.